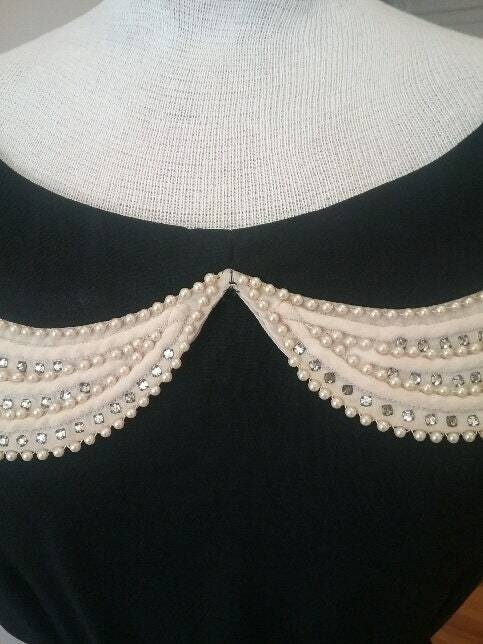 1950's, 36" bust, black crepe draped skirt dress, with an elaborate peach collar edged in rhinestones and pearls. 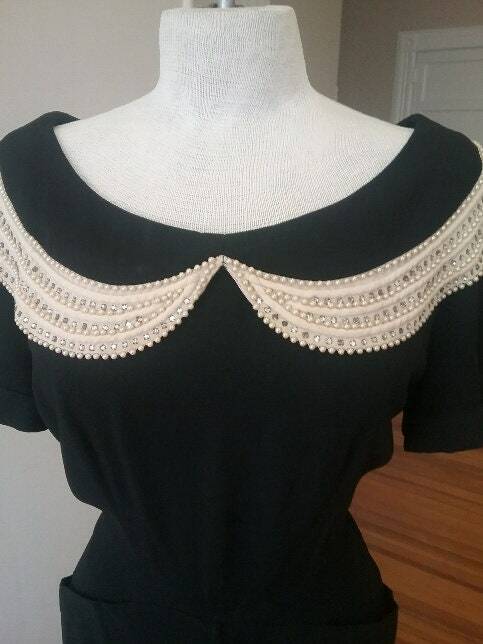 Dress has side zipper under left arm hole, and short sleeves. 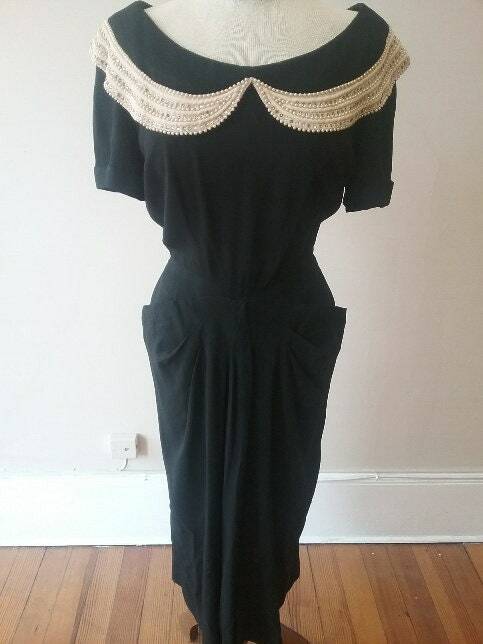 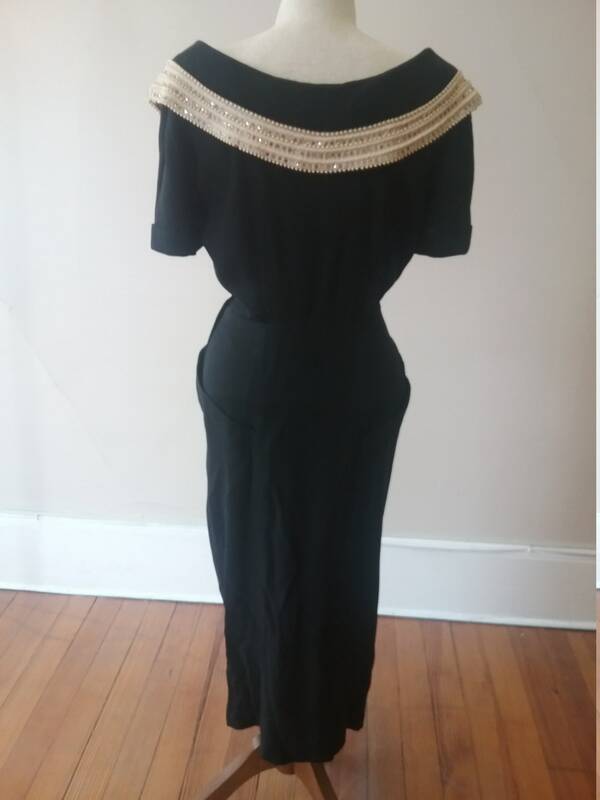 Label reads " Martini"
Hips 36" Shoulder to hem 44"